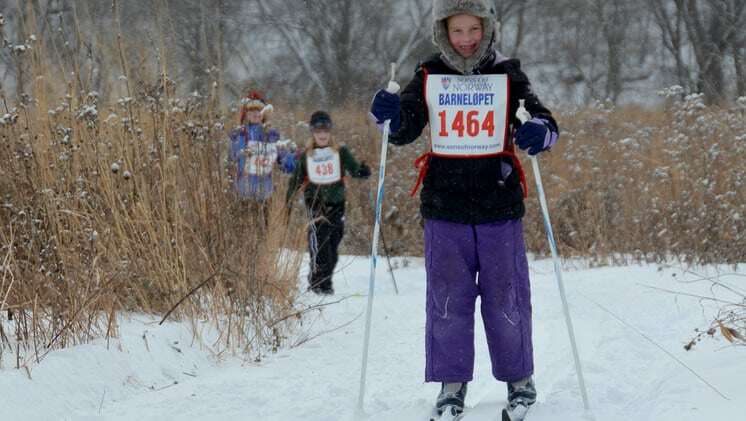 February 2, 2019 | 10:00 a.m.
Get outside and enjoy the winter at the 20th annual Barneløpet, a non-competitive ski or walk event for the community’s youngest skiers, ages 3-13. The collaborative Vesterheim Museum and Sons of Norway event will be held at the Decorah Community Prairie at 10:00 a.m., with registration beginning at 9:30 a.m. Skiers must provide their own skis. Barneløpet is open to children of all skill levels and is a great event for the entire family. “When you complete the course, you’ll be awarded a medal and served hot chocolate and homemade cookies as you warm yourself by the fire,” Darlene Fossum-Martin, event organizer, said. No snow or skis? “Then join in the fun with a walk through the tall prairie grasses,” Fossum-Martin encouraged. If in doubt about weather conditions, listen to local radio stations for cancellations. 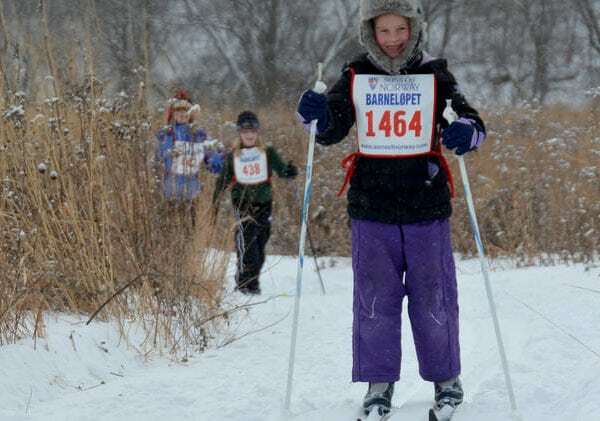 Barneløpet, (pronounced BAR-nuh-lop-it) is Norwegian for “kids race” and Sons of Norway lodges all over the country sponsor Barneløpet events. It is modeled after the Barnebirke, a children’s cross-county ski race held each year as a part of the world-famous American Birkebeiner in Hayward, Wisconsin. Find an album of pictures from the 2016 event here. Check out these fun Sons of Norway videos of previous Barneløpet events from 2012 and 2014. Barneløpet is free thanks to the sponsorship of Jon and Mary Hart of Decorah in memory of Kjell Arne Berntsen and three Sons of Norway Lodges—Valdres #503 in Decorah, Iowa, Heimbygda #376 in Lanesboro, Minnesota, and Valheim #364 in Spring Grove, Minnesota.